Drug compounding laws got you confused? Looking for some online continuing education in veterinary pharmacy? Hello. Please tell me how I can view this Pharmaceutical Webinar without becoming a Vet Girl member. I want to pay the $50 to view it, but I see no link to Register. 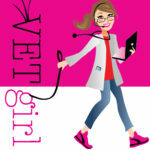 On the right side of the webpage in question there is an area that says, “Not a VETgirl member? does this also pertain to florida law or is there a separate CE for that. Yes, it is. Please confirm with your state board, however. How do I watch this webinar when I am a veterinary technician student, have to do so for my class. Have already made an account. If you already made an account, you have to LOG IN first to view anything.